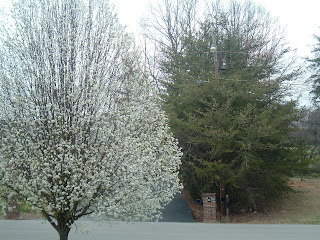 Believe it or not, we have snow flurries flying here in the Upper Cumberland region of Middle Tennessee this Easter Sunday morning. They are there on this picture even though you cannot see them! Just a few days ago on Good Friday, we enjoyed temperatures in the upper 60's and lower 70's. 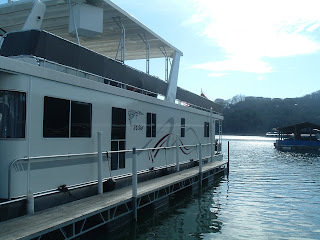 Picture attached below is one I took on Friday at Center Hill Lake of my parent's houseboat. Easter last year saw morning temperatures in the TEENS! We had alot of plant damage due to the late and hard freeze. You just never know in Middle Tennessee what you'll get. Seen some Easter Sunday temperatures that were nearly summer like.